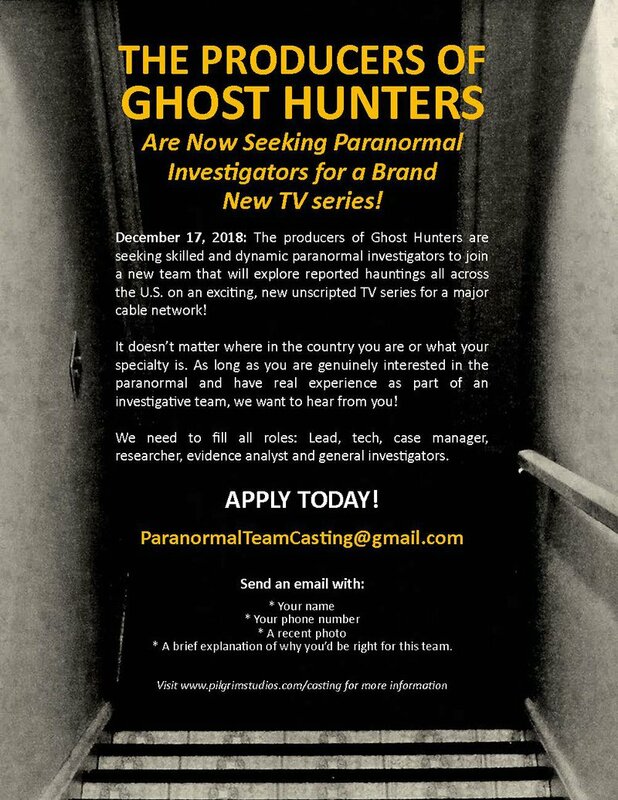 The producers of Ghost Hunters are seeking skilled and dynamic paranormal investigators to join a new team that will explore reported hauntings all across the U.S. on an exciting, new unscripted TV series for a major cable network! It doesn’t matter where in the country you are or what your specialty is. 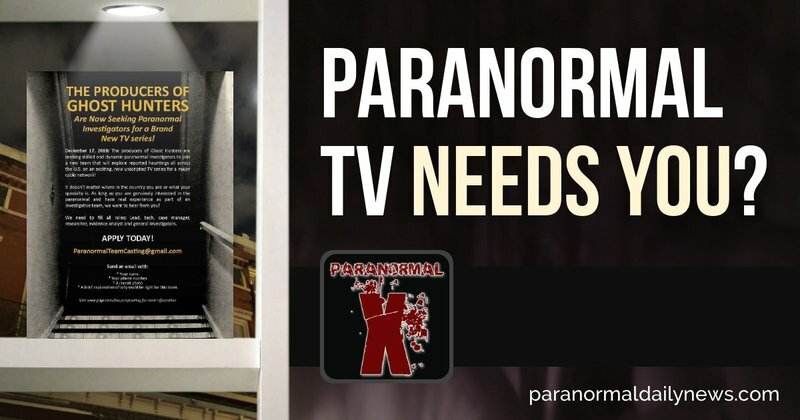 As long as you are genuinely interested in the paranormal and have real experience as part of an investigative team, we want to hear from you! We need to fill all roles: Lead, tech, case manager, researcher, evidence analyst and general investigators. INVESTIGATIONS START SOON! APPLY TODAY!